The largest acute hospital in Somerset, Musgrove Park, has expanded. 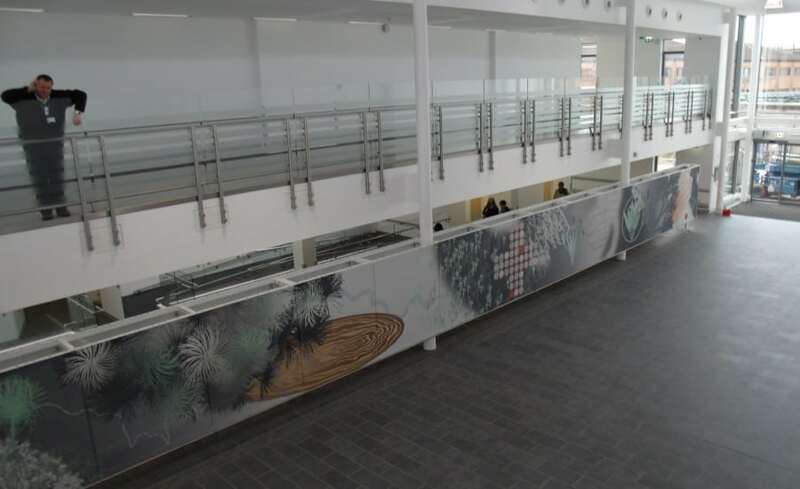 Linking two buildings is a bright new entrance wing with a dramatic 21m long functional art piece. Having worked with BDP on a number of projects, BDP put us forward to work with artist, Christopher Tipping of Tipping Goldsmith. Architen Landrell had the challenge of realizing the artist’s vision of a floating fabric banner to be installed as an artistic space divider. The structure’s function was two-fold: 1. Creating a private corridor (a space within a space) and 2. 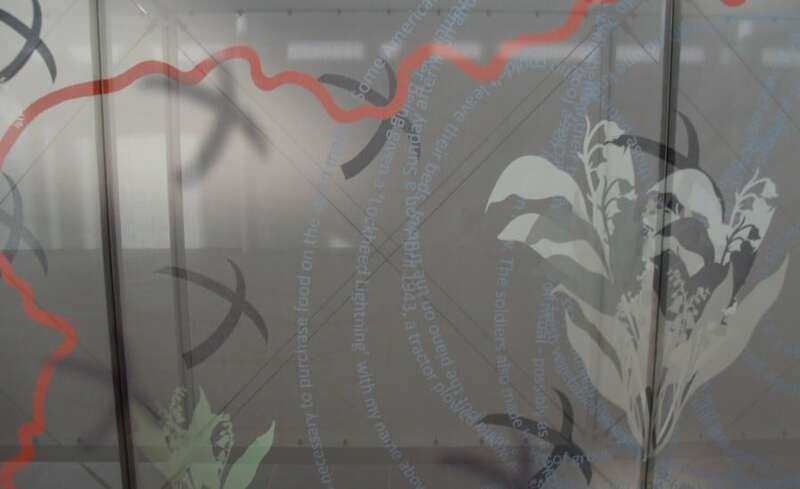 Enhancing the new environment by introducing artwork inside the hospital. 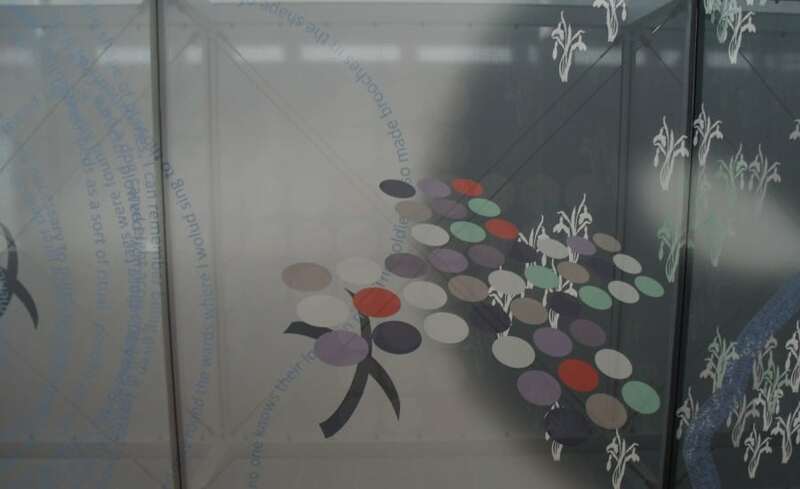 A PVC glass fabric was chosen as the ‘canvas’ because it is lightweight, durable, printable and it has excellent translucency. In addition, it has a long life span of 20+ years with minimal maintenance. Whenever fabric is introduced on the inside of a building, it helps improve the acoustics by reducing echo. While this structure looks like a simple, lightweight easy to install banner, it’s actually a fully engineered permanent tensile fabric structure. 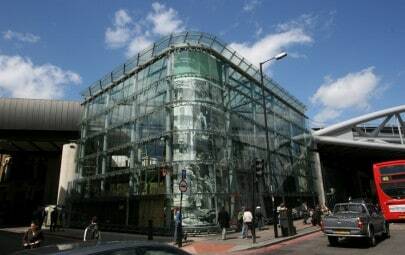 Engineering was important to ensure the structure could withstand wind forces that occur in a building of this size when doors are opened and closed from the outside. The structure measures 21.3m wide by 1.8m high and is made of 26 no. 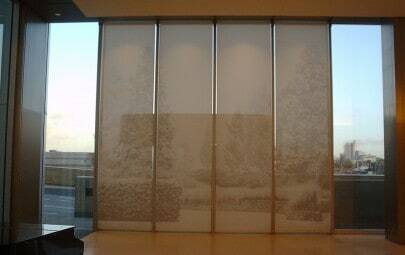 individual fabric panels (1800mm x 1642mm each). 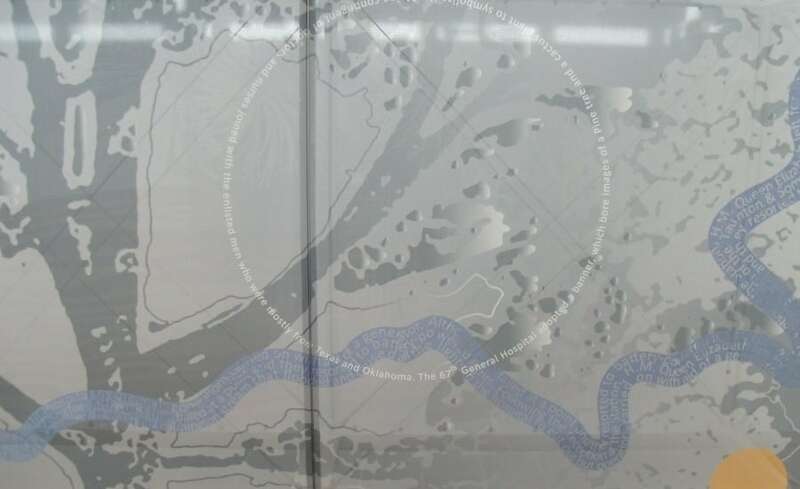 Each panel was printed with a section of the artwork and had to be installed to an exact match. 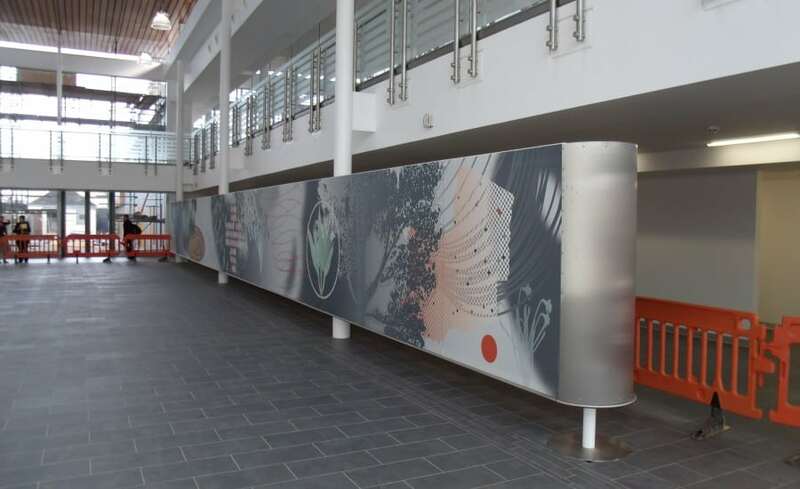 The two sections of printed fabric that make up both sides of the structure are supported by an aluminium ladder frame clamped to steel columns. 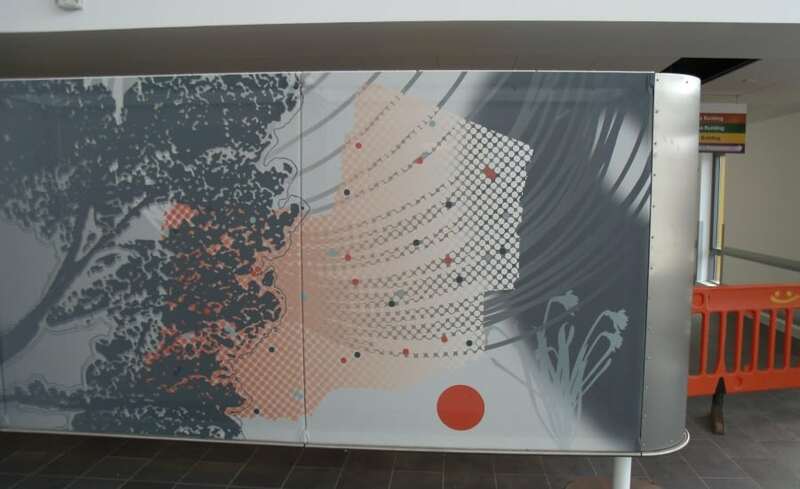 While the cable tensioned system is elaborate, it allows the artwork to appear as if it’s floating in the space. The two end sections that finish off the layers of fabric and hide the framework, are curved stainless steel. Both the hospital and the artist were very pleased with the end result.